Every year on March 22, the world celebrates the importance of freshwater through World Water Day. The UN declared March 22 World Water Day in 1992, following the recommendation of the UN Conference on Environment and Development (UNCED) held in Rio de Janeiro earlier that year. As we all know, water is the ultimate resource. While many forms of alternative energy and other materials exist, nothing can replace water. And although the earth is awash in water, only 2% is fresh and only 0.4% is available for human use (the rest is frozen in glaciers and ice sheets). Humans can exist for a long time without food, but we can live only a few days at most without water. The availability and use of water varies greatly around the world. The United States is a great country for many reasons, but chief among them is the abundance of water. Our water is used not only for consumption, bathing and waste removal in our homes, but also to produce electricity (cooling water), food (irrigation and watering of animals) and the materials we use every day. Making a t-shirt uses 660 gallons of water, about the same about as needed to make a typical fast-food restaurant sandwich. The average American uses about 2000 gallons of water per day when all uses (direct and indirect) are combined. The average African family, in contrast, uses about 5 gallons per day. The biggest use of water worldwide is irrigation, absorbing 70% of all freshwater use (in the U.S. that number is only about 30%). Second comes energy production (about 45% of all water use in the U.S.). Water scarcity impacts around 3 billion people around the world. And when water isn’t scarce, it often turns out to be a problem by being too abundant, producing floods. Floods and related impacts account for 70% of all deaths from natural disasters. Our ability to supply clean water to the world’s poorest people has improved greatly over the past two decades, the result of our focus on the Millennium Development Goals. About 90% of humans now have improved supply, leaving about 700 million people worldwide still without good water. But sanitation—the removal of human and other wastes from living areas and their treatment—still lags behind other improvements. 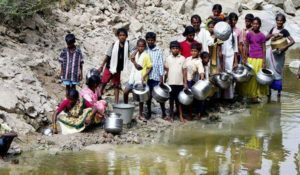 About 2.4 billion people lack basic sanitation facilities, causing almost 1000 children to die every day from diseases related to the lack of sanitation. 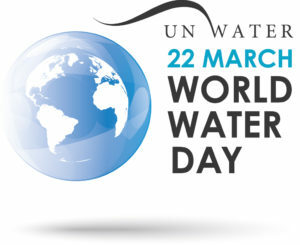 To draw attention to the importance of freshwater, the UN develops a theme for World Water Day every year. In 2018, the theme is “Nature for Water,” emphasizing that a holistic view to water conservation is the best course for our future. By paying attention to the condition of our landscapes—soil erosion, forest and grassland cover, wetland management, urban land use planning—we can reduce our use of water and the terrible consequence of floods, droughts and pollution. Protect and restore water-related ecosystems, including those on national boundaries. Save the Water. 250 Water Facts. Available at: http://savethewater.org/education-resources/water-facts/. Accessed March 20, 2018. UN Water. 2018. The Answer is in Nature. Available at: http://worldwaterday.org/. Accessed March 20, 2018. United Nations. Sustainable Development Goal 6. Available at: http://www.un.org/sustainabledevelopment/water-and-sanitation/. Accessed March 20, 2018. United Nations. World Water Day, March 22. Available at: http://www.un.org/en/events/waterday/index.shtml. Accessed March 20, 2018.